Scientists in Iceland have been studying and utilizing the power of geothermal wells for years. In 2009 one such study hit a standstill when a group ran into magma halfway into their dig. The roadblock has become a blessing in disguise, and research has shown that the magma can act as a potent new source of geothermal energy powerful enough to heat 25,000 to 30,000 homes! When drilling for the government-sponsored Iceland Deep Drilling Project, a team of scientists hit magma about 7,000 feet into the planned 15,000 feet. The project was initially testing the power of supercritical water (very hot water under a high pressure), but the project had to be abandoned because of the magma flow. Iceland has taken advantage of the power of their local geothermal wells, sourcing nearly all of their home heating and one-third of their electricity from them. Each geothermal well can generate up to five to eight megawatts of electricity, but this magma fluke has shown a production of up to five times that. 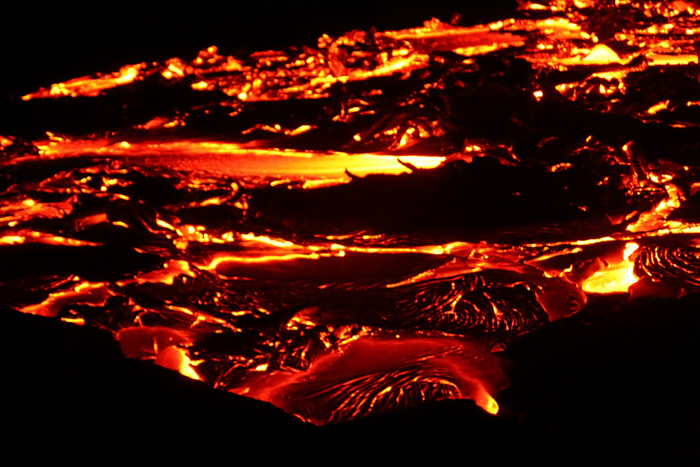 The magma well produces dry steam at 750 degrees Fahrenheit, which can generate about 25 megawatts of electricity. In addition to providing a new source of energy, the fluke is also providing research on the magma formation below Iceland. Now that is one great mistake! They pulled a Homer Simpson! Nothing new here. The fact that Iceland sits on top of the mid-Atlantic ridge has been known for 50 years. This is an energy source that pushes apart North America and Europe. The amount that humans need to harvest is minute. Besides supplying Iceland's energy needs they could produce clean electricity in vast quantities, convert it to microwaves and export by bouncing off geosynchronous satelites. "I am sending you to the Mustafar system in the Outer Rim. It is a volcanic planet. You will be safe there."